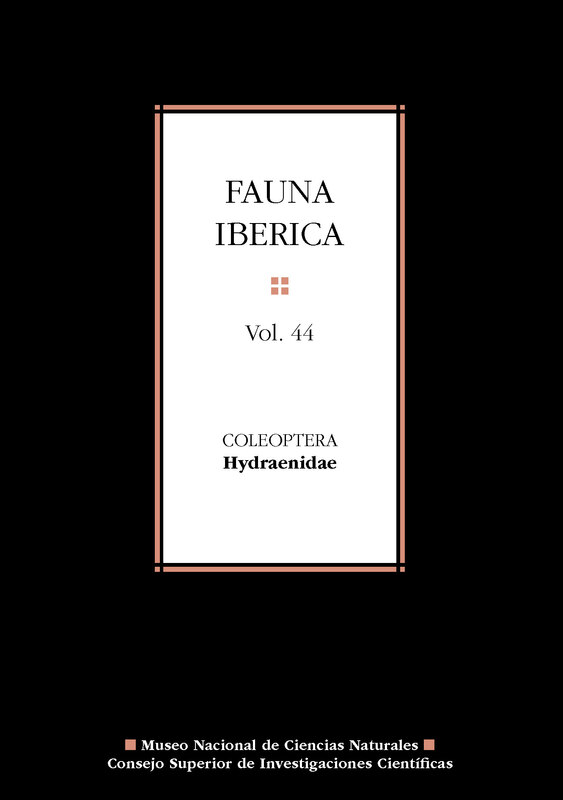 This monograph is the first comprehensive and updated revision of the family Hydraenidae from the Iberian Peninsula and the Balearic Islands. The small-size beetles of this coleopteran family, included in the suborden Polyphaga, live in a variety of aquatic habitats, but a few lineages inhabit semiaquatic or humicolous environments. Due to their great diversity, high levels of endemism and wide ecological tolerance, hydraenids are an excellent model group to assess not only water quality and conservation status of the habitats where they live but, also, for evolutionary and biogeographic studies. The first chapters contain a detailed synthesis of the phylogeny, classification and geographic distribution of this family, as well as of the morphology of adults and preimaginal stages (a key to identify larvae to the generic level is included). Information about their natural history and ecological interest, as well as the methodology used for their field collection, preservation and study is also given. The second section of this book contains a complete taxonomic revision of the almost 160 Ibero-Balearic species, including dichotomic keys for all the species, species groups, subgenera, genera and subfamilies. For each species, information on its morphology, distribution and biology is also included. The book contains 206 original plates and 35 color photographs, and includes an extensive and updated bibliography, as well as an appendix with scientific nomenclature.